Automatic and manually triggered photo systems with your logo provide a never ending stream of content. Two out of three people purchase photos when presented with a great photo and an intuitive sales process. Recommended hashtags and compelling content increase social sharing and search engine optimization. Easily add photo sales without the need of additional staff. The highest quality automated photography packages for the outdoor adventure industry. Action Photo Systems provide solutions to instantly create photos and content for your park through automatic and manually triggered camera systems. Adventure Parks are one of the fastest growing trends in the U.S. currently. Just like Zip Line and Canopy Tours, Adventure Parks bring in hundreds of customers each day and provide multiple opportunities for great photos. Implementing manual trigger cameras, automatic cameras and roving cameras give guests plenty of options of photos to take home with them. Zip line and canopy tours have been growing at incredible rates in the U.S. and it’s not hard to understand why. Adding a camera system, with both automated and manual capture options, provides an added stream of revenue potential for each guest. Indoor and outdoor mountain bike parks have been growing in popularity since the early 90’s and have been seeing a re-surge in the past few years. Adding the Bike Park package to your site will provide an extra source of revenue with limited work as well as providing guests with content that can be shared through various platforms. As most of us know, Summer Camps have their busiest season during the summer. However, the majority also serve as a Conference and Retreat center during the slower and colder months of the year. Installing and implementing our roving system cameras with sales kiosks will provide more low-season revenue while generating content that can be used year round. Serving as a hub for large scale Adventure Parks, Ski Resorts and National Parks, Adventure Centers are both the first and last impression guests have. 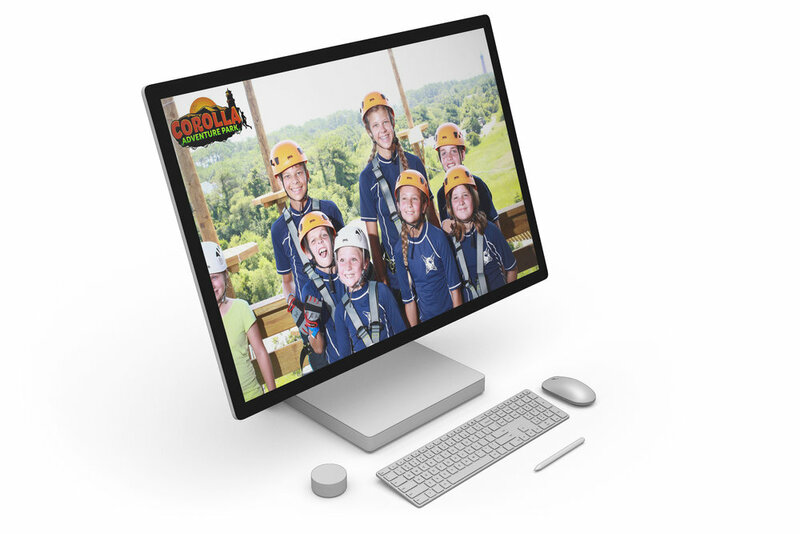 Our Adventure Center package provides manual trigger cameras, green screen options and multiple sales kiosks to reach guests in different parts of the center. We customize every system to meet the unique demands of our clients. 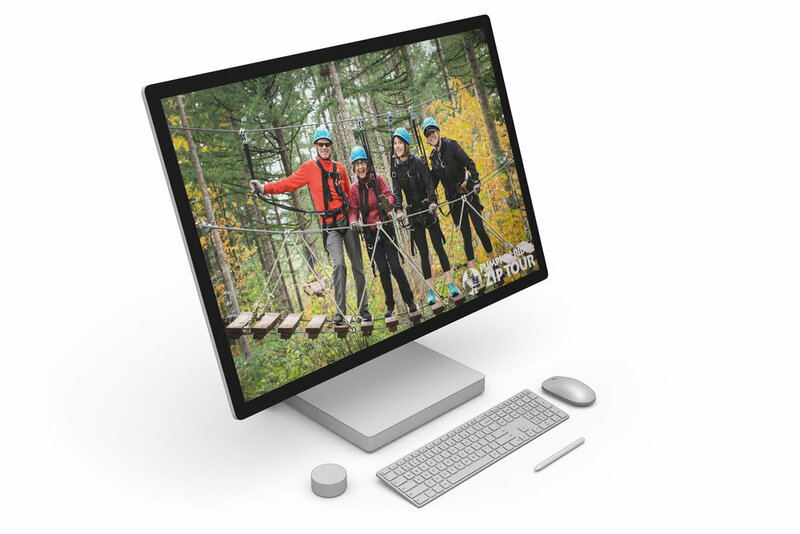 By offering multiple system options we can guarantee amazing images that your guests will love while generating revenues and brand awareness for you. Automated Image Capture. 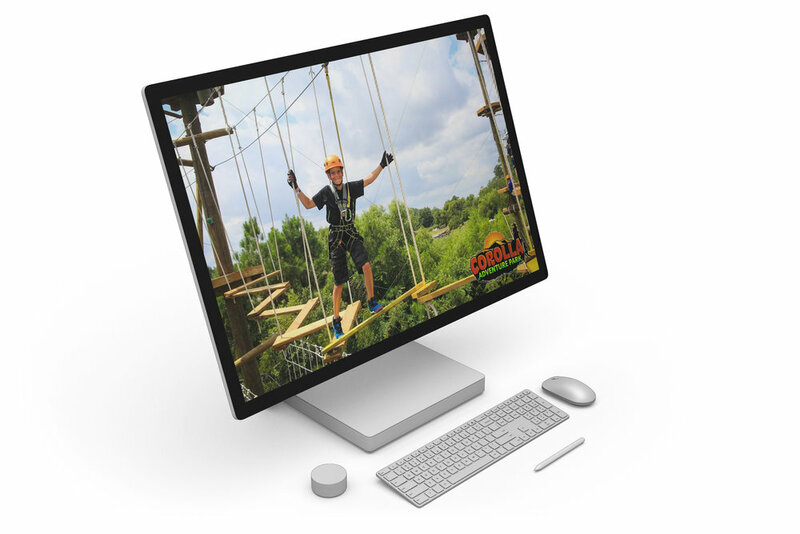 . .
Action Photo Systems has pioneered automated image capture systems in demanding environments like zip line tours and aerial adventure parks. Using an automated system results in consistent, excellent images regardless of weather and conditions. We use a proprietary motion trigger system that has a flawless capture rate and can be used with or without Radio Frequency Identification (RFID). Manual Trigger Camera. . .
People love taking “selfies” and we’ve developed a system that allows your guests to take a selfie while we manage the image quality and backdrop. Using a permanently installed trigger, camera and flash system means consistently excellent images without the involvement of your staff. Roving Camera Systems. . . Sometimes capturing candid moments or having the ability to capture images in multiple locations is necessary. We offer hand-held roving systems that can be used with RFID and that work seamlessly with our automated sales platform. Your staff capture the images and our system does the rest! Green Screen Systems. . .
A green screen system allows guests to pose for a portrait or group photo with a variety of backdrops. You can quickly and easily change the backdrop for the season, special events or promotions. Automated Sales Kiosks . . .
Once an image is captured it is sent to your on-site server where the image is branded with your logo and sent to a touch-screen sales kiosk for viewing by your guests. Guests then view their images, select which photos they would like to purchase, and then complete their sale. Guest can pay at the kiosk using a credit card or we can integrate the kiosk with your existing point of sale system. This package includes two designated sales kiosks. RFID Frequency Identification . . .
Radio Frequency Identification, or RFID, is a technology that tags photos so you can sort them easily for packaging and sales. All our systems can be configured with RFID to assist your guests with sorting and selecting their photos for purchase. We can deliver photos to your guests three different ways: digitally through email, digitally through USB download, or physical print. You can choose one, two, or all three methods of delivery for your system. Interested in getting a quote for your site? Let us know!